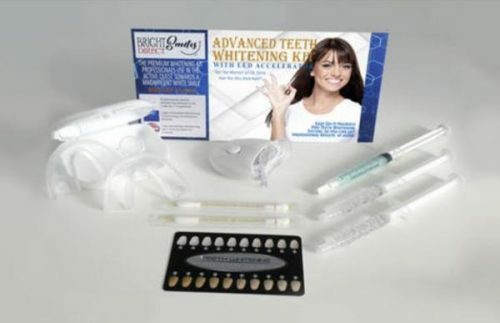 A new at-home teeth whitening kit has been launched by Bright Smiles Direct. It is easy to apply and has been specially formulated to get great results in just one application. Bright Smiles Direct has launched a new at-home advanced teeth whitening treatment to help customers get the white smile they’ve always wanted. It allows them to get great whitening results on the go, without having to pay expensive dental fees. The site explains that with Bright Smiles Direct, customers can get safe, easy to apply teeth whitening at an affordable cost. It applies in seconds, and gives professional results. This means that in just minutes, customers are able to have whiter teeth. While before they would have to register with the dentist and wait for an appointment before anything happens with their teeth, now they can whiten with ease without the wait or the hassle. BrightSmiles Direct Advanced Teeth Whitening uses light-activated whitening technology to accelerate the whitening process. It provides simple to follow, step by step directions with clear illustrations, making it very easy to use. What’s more, the product is so effective that after just one treatment the results are evident. This gives customers the peace of mind knowing that they have some control over the appearance of their teeth. The products is specially formulated to whiten the teeth without pain, irritation, or sensitivity issues that arise from other products on the market. The ingredients are included to remove stains while protecting the enamel. Customers can buy safe in the knowledge that the whitening gel is made in the USA with dental grade ingredients. It makes it easier than ever before for customers to get the celebrity style smile they’ve always wanted. The easy to apply tooth whitening kit helps customers to combat the effects of aging, coffee, and other stains. Tooth whitening can help to boost self confidence while enhancing the appearance of the customer. When people have the smile they like, their self confidence can dramatically increase, which has a knock-on effect on other aspects of their life.